Bruce Davis is a Mesa AZ based general and trauma surgeon. He finished medical school at the University of Illinois College of Medicine in Chicago way back in the 1970’s and did his surgical residency at Bethesda Naval Hospital. After 14 years on active duty that included overseas duty with the Seabees, time on large gray boats and a tour with the Marines during the First Gulf War, he went into private practice near Phoenix. He is part of that dying breed of dinosaurs, the solo general surgeon. 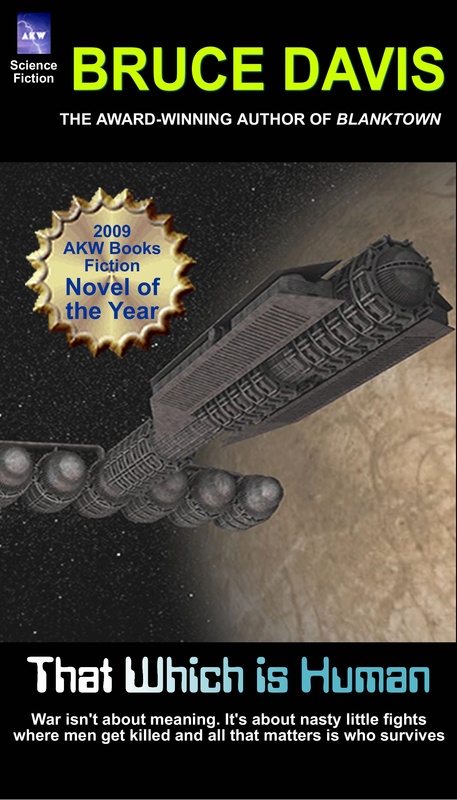 He also is a writer of science fiction and fantasy novels. His independently published works include the YA novel Queen Mab Courtesy, and his military science fiction novel That Which Is Human. 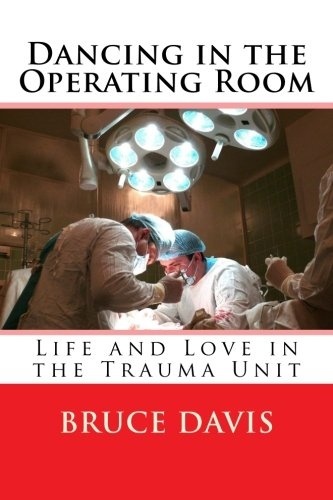 His nonfiction memoir, Dancing in the Operating Room, is a glimpse into the life and training of a Trauma Surgeon. 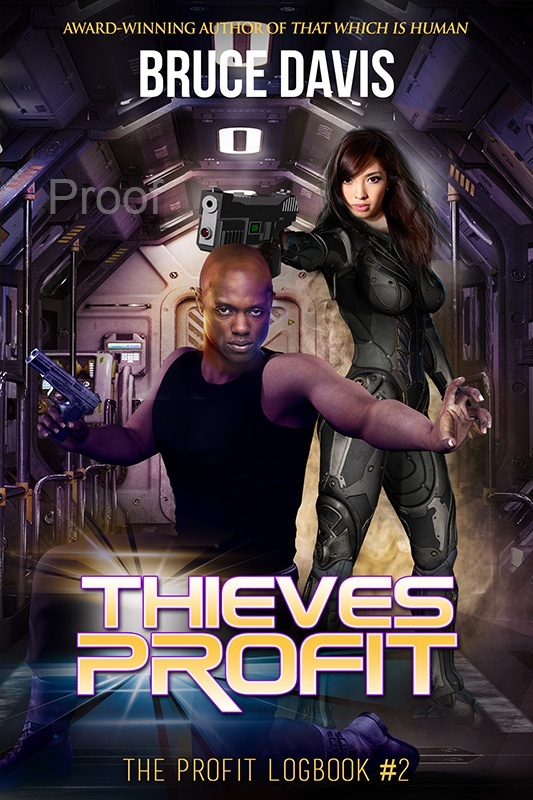 Glowgems for Profit and Thieves Profit are parts of a continuing series of stand-alone novels about Zach Mbele, former Republic of Mars commando and captain of the fast freighter, Profit. 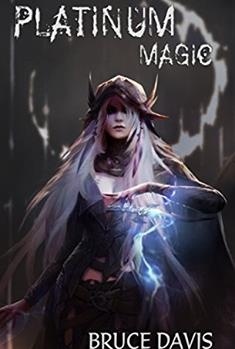 They and his latest work, Platinum Magic, his first foray into the world of fantasy, are published by Brick Cave Media. Platinum Magic represents the start of an exciting new series set in a surprising modern world, like our own, only different. The trauma pager, an old fashioned alpha-numeric beeper, sounds off. ‘6 minutes, Red, MVA rollover. Trauma Code’ read the black letters on its tiny green screen. Five minutes later, the EMT team rushes in with the gurney, one of them performing vigorous one-handed chest compressions as he pushes his side of the wheeled bed. The other squeezes a ventilation bag attached to an endotracheal tube. The tube is stuck in a bloody mass of tissue and hair that is barely recognizable as a young woman’s face. The trauma surgeon steps to the head of the bed as several things begin happening at once. The tangle of leads and IV lines is sorted, technicians move in with the EKG and oximetry monitors, the respiratory tech steps up with another bag/valve/monitor device and exchanges it for the EMT’s bag. On a one-two-three count the woman is lifted off of the gurney and onto a trauma bed. “What’s the story?” the trauma surgeon asks as technicians complete the connection of monitors and wield shears, cutting of the bloody clothing and rapidly exposing every inch of the woman’s flesh. “Set up for a right chest tube, continue CPR.” The trauma surgeon listens to the woman’s chest as the respiratory tech pumps the bag. “End tidal CO2 is 55,” says the tech as she checks a monitor. “Confirm no breath sounds on the right, good sounds on the left,” says the surgeon. He checks the position of the tube in her mouth, notes the fractured teeth, the swollen nose and eyelids, the profuse bleeding from a ragged scalp laceration. Less than 90 seconds have passed. The woman is fully exposed, her body naked under the glare of powerful lights. With a rapid sweep of his eyes the surgeon notes the mangled right arm, the obvious bone protruding through the biceps area. The woman is young, large but not obese. He abdomen is protuberant, pregnant? Or just a bit overweight? There is a reddish purple band of bruising across her pelvis and angled diagonally across her chest. Seat belt marks. The ER tech, who had been pumping on the woman’s chest, stops, raising his hands. The tracing on the monitor is a jagged irregular sine wave. The surgeon examines the right side of the chest again. He can feel the slightly crunchy softness of air in the tissue under the skin and see the abnormal movement of the chest wall as air is pushed in through the tube in her trachea. He pulls on gloves, rapidly scrubs the right chest wall directly below the armpit, about halfway to the edge of the ribcage. In thirty seconds, he has made an incision, enlarged it bluntly with a clamp and stuck the tip of his index finger into the woman’s chest cavity. He makes sure he is in the chest and not the abdomen; sweeps clot away, and feels no lung against his fingertip, all in a half-second rotation of his fingertip. A plastic tube with five holes in the end and side follow his finger into the chest and he pushes the tip of it up toward the neck. Blood and air rush out of the tube and he connects it to some suction tubing, watching a collection chamber on the suction device. 400cc’s of blood flow quickly into the chamber and stop. It is now just shy of five minutes since the EMT’s first rolled into the trauma bay. The endotracheal tube has been connected to a ventilator, fluids are running into the IV lines the EMT’s placed in transport, the first ED technician performing CPR has been replaced by another one. They will change every five minutes or so to prevent fatigue. “Let’s get a quick chest x-ray,” says the trauma surgeon. “Epi is in,” reports a nurse. The Emergency Medicine physician steps in with a portable ultrasound machine and glances at the surgeon who nods. The ED doctor runs the ultrasound probe over the chest wall, watching the tiny gray image as the probe picks up the return echoes. An overhead x-ray tube is already in position. The x-ray tech adjusts the power and duration settings and calls out, “X-ray,” before pushing the button to take the image. A brief glance shows the surgeon that the endotracheal tube is in the right place, not too deep or shallow, that the suction tube in the right chest cavity is a little deep, but the lung is inflated. There are also a lot of ribs broken and there is air in all of the muscle planes of the chest. He checks the monitors. “Hold CPR.” This time there is a slow tracing of an organized electrical impulse with a rate of about 40 according to the monitor. “Any pulse with that?” The nurse at the bedside shakes his head. The ER physician puts more lubricant on the ultrasound probes and runs it across the woman’s chest. Pulseless Electrical Activity means the heart is sending out electrical impulses but here is no movement in the cardiac muscle. A bad sign. Maybe better than asystole, which is no electrical activity at all, but still grim. For the next five minutes there is organized activity as blood is pumped in through rapid infusers, the drugs are given and a larger IV line is established in the woman’s groin. “Time?” the trauma surgeon asks. “Twelve minutes” comes the answer. The monitor shows a single impulse, then the tracing becomes a slightly irregular undulating line. The surgeon pauses for a second, calculating. Twenty-five minutes down, no change, pupils fixed and dilated, no respirations. Open the chest? Open the abdomen? More drugs or blood? But the odds of salvage are low, so low as to be futile. Even if she regains a stable rhythm, she’s been down too long and survival after arrest in blunt trauma is negligible. The numbers just don’t add up. “Ok, people. That’s the ball game. Time of death 18:45. Thank-you, everyone.” The surgeon turns to the EMT’s and says, “Good job. Thank-you.” Then he strips off his gloves and walks to the computer to do the official record. The nurses and technicians quietly disconnect the monitors and clean up their equipment. In a few minutes they will clean up the patient as best they can and more her to the morgue. This is the way a trauma death occurs in real life. No drama, no shouts of ‘STAT’ or grand pronouncements of success or failure. Just a team of people doing a job for which they have trained and practiced for thousands of hours. And when it’s over, we clean up and move on to the next task. It seems cold, and in many ways it is. It’s not that the death of a patient doesn’t affect us. We each handle that in our own way. I tend to get angry because I hate to lose. I’m in it to win, and winning means keeping the patient alive. I will obsessively review a code, consider different angles, criticize what I did or failed to do, but only sometimes do I reflect for very long on who the patient was and how they came to be on that trauma bed. Perhaps I have become hardened after 30 years in this business. Or perhaps I’ve just pared my investment down to a simple win-lose proposition that allows me to retain some peace of mind.